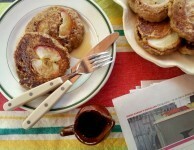 It’s amazing what rolled oats and an apple can do for pancakes. I’m fond of all sorts of pancakes but for a breakfast to really tide me over I need more than flour, milk and eggs which is why all of the extras in this recipe appeal to me. 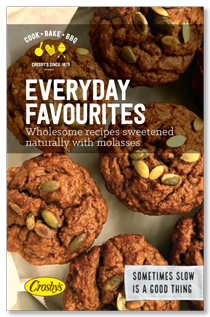 Rolled oats, whole grain flour and flax stick with you through the morning.  They supply good nutrition, add texture and a whole lot of flavour. 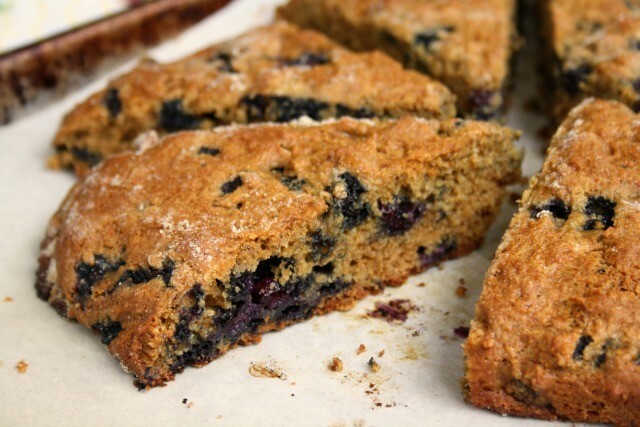 This recipe is sweetened with a bit of molasses, which adds flavour too. These are not fluffy pancakes. 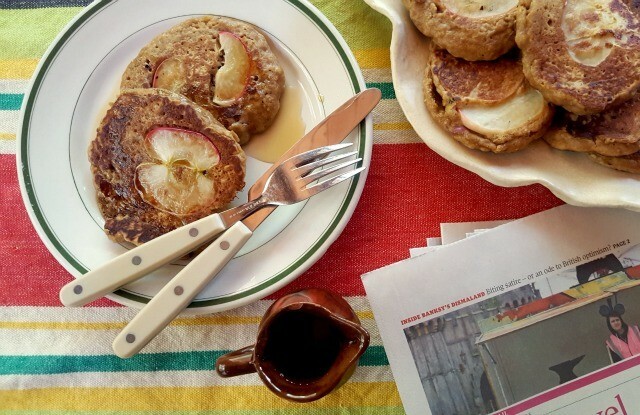 Apple Oatmeal Pancakes are on the hearty side of the pancake spectrum. These are cold weather pancakes, just the sort you might crave on a damp, chilly November morning. 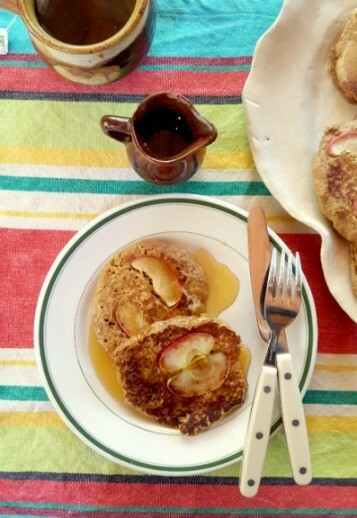 Apple Oatmeal Pancakes make good lunchbox fare too, and can be a perfectly acceptable supper on an evening when a breakfast sort of meal is what everyone is craving. Add wet mixture to dry and stir until combined. Stir in the grated apple. Heat griddle over medium and grease with oil. Drop batter into pan by 1/3 cup measure. Top with thinly sliced apple. When edges are set and bubbles start to form on top, flip and cook until done. I can’t find regular Quaker Oats in Ottawa. Some are labelled Regular but they cook in 1 1/2 mins. I used these for oatmeal cookies and the cookies fell apart. I contacted the help number and was told the regular ones should work. So I bought a bag of the large flake and used them to make porridge before trying them for date squares. The porridge was terrible, full of hulls. I have been using regular Quaker Oats for baking and breakfast for over 60 years. So disappointed. Any suggestions? Other brands are the same, cook in 1 1/2 mins. Finally bought some expensive Bob’s Red Mill organic Old Fashioned rolled oats, haven’t tried them yet. Maureen, I have always used Quaker Large Old Fashion oats and have never had an issue. I am sorry that you have. Fingers crossed that the Bob’s Red Mill ones will be good.